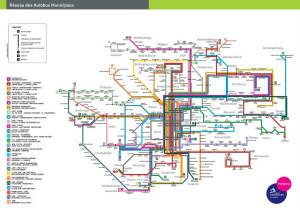 To understand the transport system we need to think in terms of the major groups of users, and the problems they cause. We need to get out of the mentality of developing the networks on a who-shouts-loudest basis. Every day, people in cities travel in complicated patterns that almost defy comprehension. Transport models attempt to reproduce this pattern, to allow us to test the effect of changes to the system. But the sheer complexity makes these models unwieldy, and prone to misinterpretation. The modellers do their best, but there’s a huge gulf in understanding between policy-makers and modellers. Instead of really understanding the transport system, policy-makers focus on the separate networks (the roads, the trains, buses, bikes), their problems, and try to fix them. In fact it is quite normal for the different networks to be managed by entirely separate policy-makers, who just promote investment in their own network. This failure to manage the networks as an inter-related system means that we never solve congestion. So instead of thinking in terms of networks, I think we need to focus on the different groups of users. This is inevitably going to be a huge simplification, but I think it gives a good starter to understanding the system, and generates some important policy insights. To make it memorable, I’m going to divide the different users into five groups: Angels and Devils, Saints and Martyrs, and Mortals. In terms of the system, the main impacts are from people who travel further, or whose trips are particularly concentrated in particular places or at particular times. So we start with the Angels. 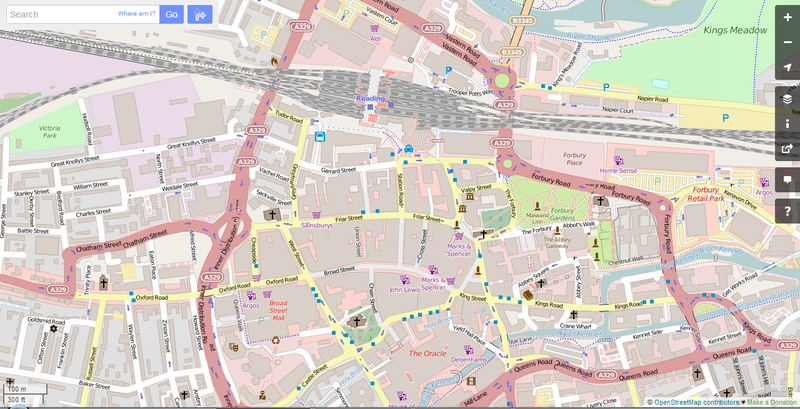 These are people who travel into the city centre by public transport (or on foot or by bike). These are economically-valuable trips and the people making them are doing so in an efficient manner with little impact on other travellers. 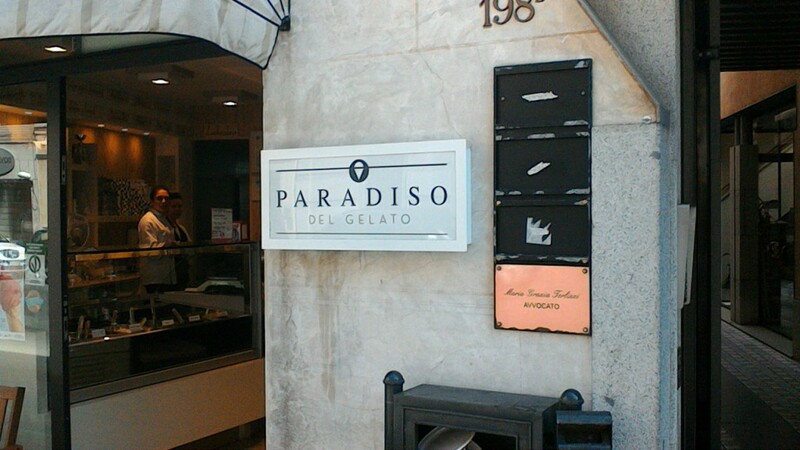 In contrast, the Devils are people who drive into the city centre. They almost all have a public transport alternative, but choose instead to inflict their transport choice on everyone else, taking a disproportionate amount of congested space. Driving to work in the city centre is even worse – these journeys are concentrated in the peak, causing severe congestion. The third group are the Saints, and here we break from the usual narrative. 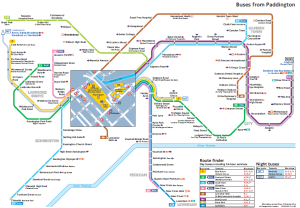 There is a very strong divide between city centre destinations, where public transport is readily available (and fairly well used), and suburban destinations, where public transport is usually inconvenient, and almost everyone drives. People who work in the suburbs are making a valuable economic contribution, even if they are driving. A bit like saints performing miracles, while still being human, and sinners. The fourth major group are the Martyrs. These are the people delivering freight. With the exception of some long-distance and bulk cargoes, almost all freight is moved by road. The logistics industry is very competitive, and very much focused on minimising overall costs. Freight is a key part of the economy, and there is not much choice about how it is distributed. So this group primarily suffers from congestion caused by others. The last group are the Mortals. Lots of trips are quite short, well-dispersed and don’t really cause any problems. This includes almost all cycling and walking, but many short car trips in the suburbs too. To a first approximation, these trips are just background noise in the system. We might want to encourage cycling and walking for various reasons, but at a system level, they have little effect. This high-level division of traffic into five groups is crude, but gives a basic structure for transport policy. If we want to tackle congestion, we have to focus on getting the Devils out of their cars and using public transport, or cycling or walking. But this isn’t a war on motorists: it’s entirely reasonable that the Saints and Martyrs drive. We need to be a lot clearer about which car journeys are a problem, and a lot more assertive about converting such trips. The aim should be to convert all of those Devils into Angels. In most cities, almost all of the congestion is due to the Devils. Concentrations of Saints can still cause congestion, but it’s unreasonable to treat this as an individual problem. There will be particular congestion problems around hospitals and business parks. Here the solution lies with the planners: offices should generally be located in city centres, so that businesses can benefit from agglomeration effects, and staff benefit from access to shops and other amenities. Allowing, or even encouraging offices to develop in the suburbs or out-of-town locations will just lead to endless demands for more road capacity. 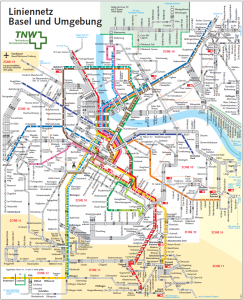 Offices should be around public transport hubs, and suburban land used for housing instead. Hospitals in suburbs or out-of-town locations can be very difficult to address, but the all-day travel demand can make for a viable public transport offer, if parking is restrained. This is probably a long-term project, so it’s good to get it into the plans. But it will be much easier to focus on the city centre in the first instance. Sometimes looking at a complicated problem in a different way can make it a lot simpler. It’s not that public transport is good, and the car bad, but that the economy works best when high-density office jobs are concentrated in city centres, and people use public transport (or walk or cycle) to get to them. We should stop thinking in terms of promoting the alternatives. Instead we should actively suppress car use into city centres, and then provide public transport in response to the demand. We are where we are. History has given British cities comprehensive bus services, too much car parking, and hardly any provision for cycling. In the short term, buses are probably the most effective way to get people out of their cars, but bikes can have a major supporting role. Path dependency is the idea that our situation is influenced by historical choices, which effectively limit our scope for subsequent change. It doesn’t really matter whether those past choices were right or wrong; we are where we are. That doesn’t necessarily mean that we can’t copy what has happened elsewhere, just that it will be easier and more effective to build on what we’ve already done, rather than start afresh. A key historical choice for British cities can be traced back to the Great Fire of London in 1666. The fire spread rapidly due to narrow medieval streets, with the upper floors jettied out. After the Great Fire, the streets were rebuilt on the same alignments, but wider. This principle was gradually applied elsewhere, and pretty much every British town has fairly wide (15m or so) main streets as a result. Some countries in mainland Europe adopted a similar pattern of widened streets, but not all. Haussmann built boulevards (much wider streets with trees) in nineteenth-century Paris, partly for military reasons, partly to clear out slums, and these were copied in many other cities. Vienna built a boulevard in a ring around its centre. Some other – typically poorer – countries kept their dense narrow streets. Centuries passed, and the consequence of these wider streets was that cities were open to the invasion of motor traffic – first the bus (or tram), and subsequently the motor car. 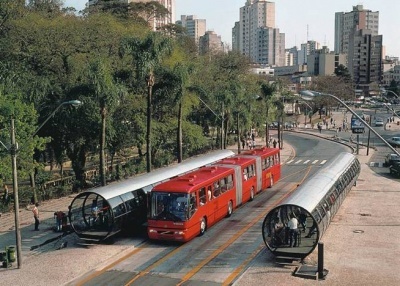 Buses could run direct into the city centre, and this allowed the building of extensive suburbs. Later, when people owned cars, they could likewise drive into the city, and places were found for them to park. It all came to a head in the seventies, when people started to address the problem that cars had become, but in many ways it was too late – there were already too many parking spaces. Cities which had retained their narrow medieval streets were in a different situation. Bus services never really developed, or were limited to the edge of the city centre. Suburbs developed a bit later, and roads to the suburbs were built wider, so bikes didn’t get in the way of cars. The narrow streets in the centre soon filled up with cars. There were few places to park, except in the street. When eventually the streets were reclaimed for pedestrians, there was nowhere to park, and the traffic mostly evaporated. People just had to ride their bikes instead. In Britain, we also pedestrianized our city centres. But we felt obliged to build new roads so that people could get to their car parks. Many British towns and cities have a dual carriageway around the centre, and large roundabouts or gyratories at the junctions. Those roads have allowed further increases in parking, with new multi-storey car parks, and offices with basement parking. So where do we go from here? Using cars in cities is hugely inefficient, taking up acres of roadspace, and causing endemic congestion. Our streets have been adapted to try to cope with the peak hour – if we want to reclaim some space, we need to reduce driving to work. There is a big concentration of workplaces in city centres, with many people still driving, despite the availability of alternatives. 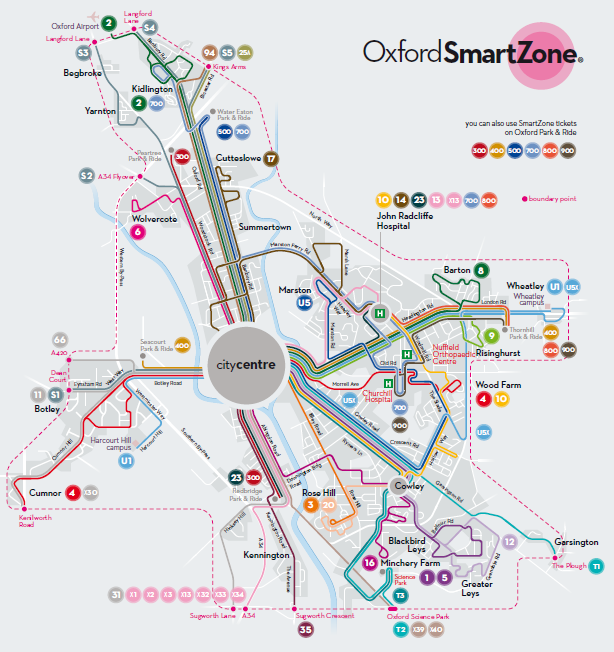 For instance this map of Oxford shows where people are using their car to get to work (though note that this includes a fair number of people who park at the Park & Ride). Driving numbers from the 2011 census, table WP703EW (modal figures for each workplace zone). Our experience in Oxford is that it is possible to induce modal shift by closing roads. But there’s a limit to how far you can take this – you have to leave reasonable routes available for deliveries. The root of the problem is that people will carry on driving to work until there is nowhere for them to park. Reducing the amount of parking is difficult. Councils can stop new parking from being provided, but have little influence over existing parking. Landowners have some incentive to build on car parks, but mostly they won’t. Let’s assume this process can be speeded up, by using a workplace parking levy to increase the incentive, getting landowners to take a more enlightened approach, or introducing retrospective planning control. How will the drivers travel to work in the city centre instead? The base assumption has to be that people will use the alternatives roughly in the same proportions as currently. In most British cities, that means a small amount of walking and cycling, with a clear majority using public transport. 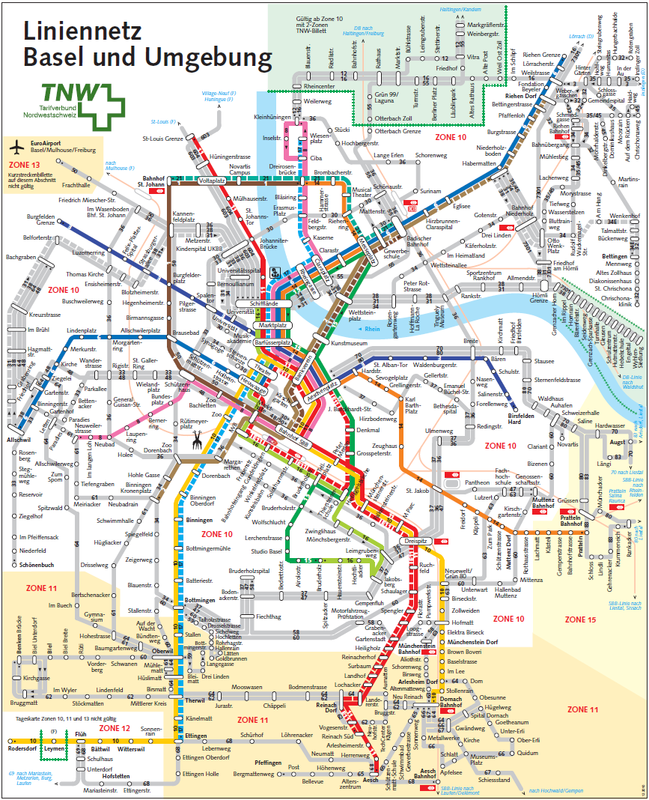 In a few cities, there are a good range of rail services, but after rail, the principal alternative is the bus. There is only one city (Cambridge) where cycling is substantially more important than the bus, as a means of commuting to the city centre. There are only two others (Portsmouth and York) where buses and cycling are equally important. And only three more (Oxford, Bristol and central London), where cycling is more than half of bus use. 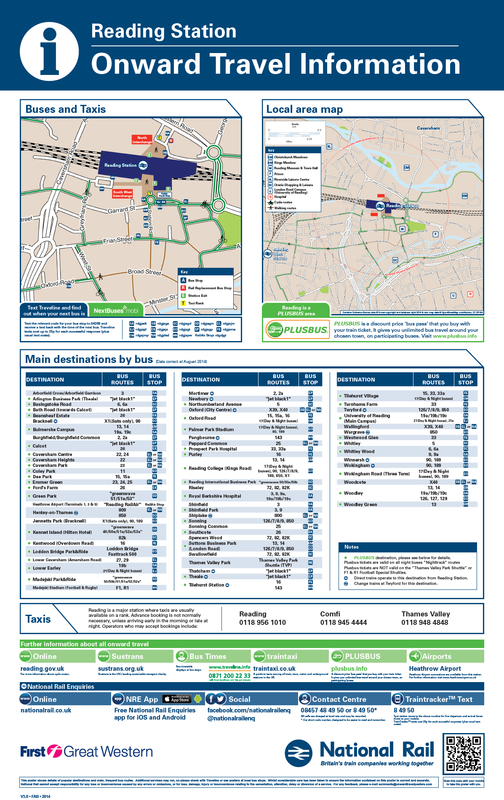 Even in Cambridge, it’s recognized that improving bus services is essential, because many people are commuting from places that are too far away for most to want to cycle. Many people wouldn’t be seen dead on a bus – buses are regarded as too downmarket. Cyclists and pedestrians can also be quite hostile to the idea of buses, especially if they feel threatened by them. 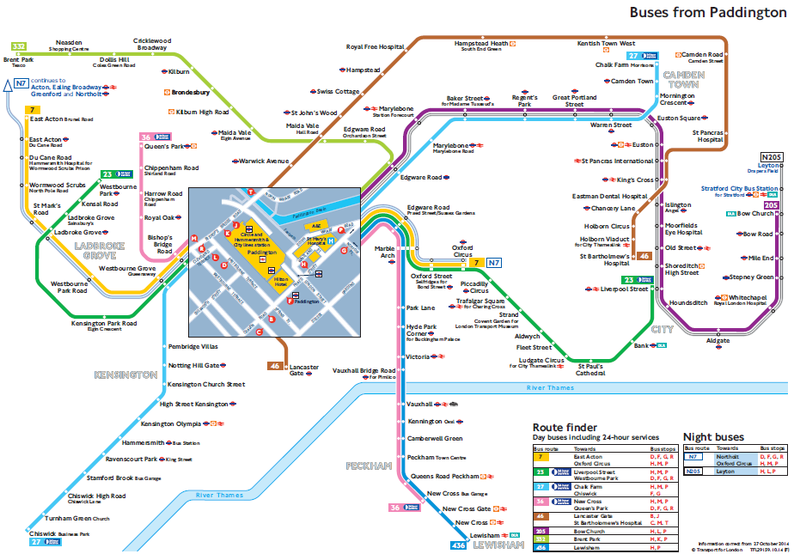 But the image of the bus has been transformed in places like London, Brighton and Oxford, by giving buses priority. Politically, to get away with restricting parking, you have to provide reasonable alternatives, so rehabilitating the bus is absolutely essential. While buses could provide for most journeys into city centres, there are good reasons for also promoting cycling. Cycling is good for taking some of the peak load, and for catering for shorter journeys. Cycling is also better at providing for journeys within the suburbs. The widespread use of buses in British cities is essential background to understanding the likely space that might be available for cycling on main roads. Bus lanes need to be provided to improve the quality of the bus service. So the main way to provide for cycling is to allow cyclists to use the bus lanes too. This caters for a fair range of adult cyclists, especially if bus drivers are trained in how to share appropriately. Where the road is too narrow for bus lanes, there’s usually room to squeeze in cycle lanes. The main difficulty is removing residential parking. Clearly, this use of bus lanes and narrow cycle lanes is not ideal from the cyclists’ point-of-view. It certainly isn’t as good as has routinely been achieved in much of the Netherlands. But taking space from buses to provide more room for cyclists would be a backwards step in the British situation. We need the buses to get people out of their cars, so that in due course there can be more space for cycling as well. The situation isn’t the same in all British cities – most have rather more car traffic than Oxford. 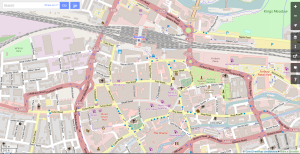 With bigger roads, there are more junctions that will be difficult to make cycle-friendly. 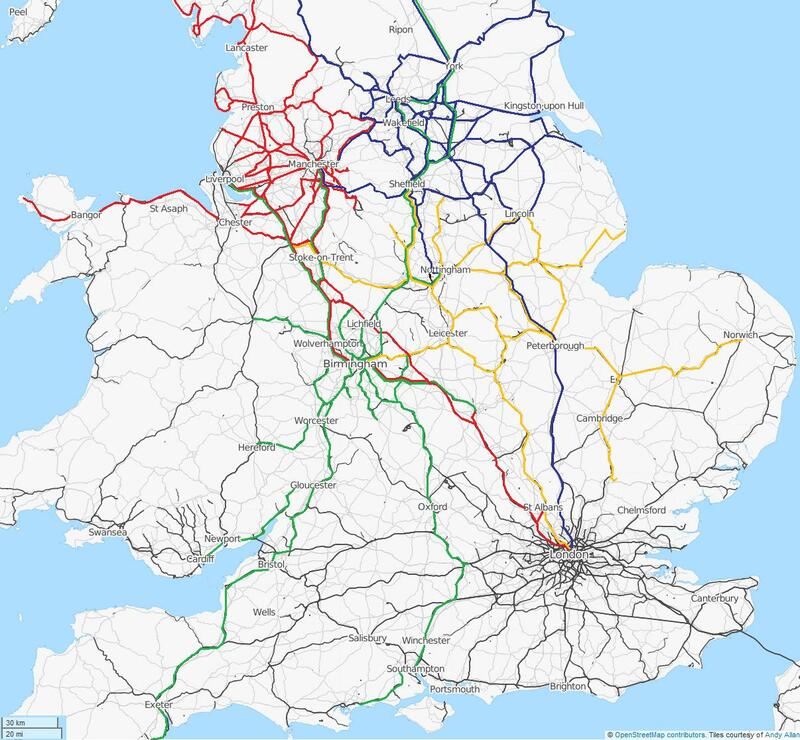 In those situations, the initial provision for bikes is more likely to involve back routes and segregated links for critical stretches where there aren’t alternatives (eg river, railway and major road crossings). But away from the worst of the traffic, it should be possible to make provision for cycling along main roads that is acceptable to most adults. If we’re to stand a chance of making our cities into wonderful places to live and work (and indeed, efficient places to do business), we need to focus on reducing car traffic, and use whatever tools are necessary to that task. In Britain, we have a substantial history of providing buses, so a quality bus service needs to be the first priority for our streets. That inevitably leaves less room for bikes, but there is still enough room for cycling to play a substantial supporting role. It’s tricky getting the balance right between buses and bikes, especially if people insist on simply advocating for one or the other. But there is a huge opportunity to provide a good range of alternatives to driving, if we accept that both bus and cycle provision are required. Data sources: Census data – contains National Statistics data © Crown copyright and database right. Workplace zone boundaries – contains OS data © Crown copyright and database right. 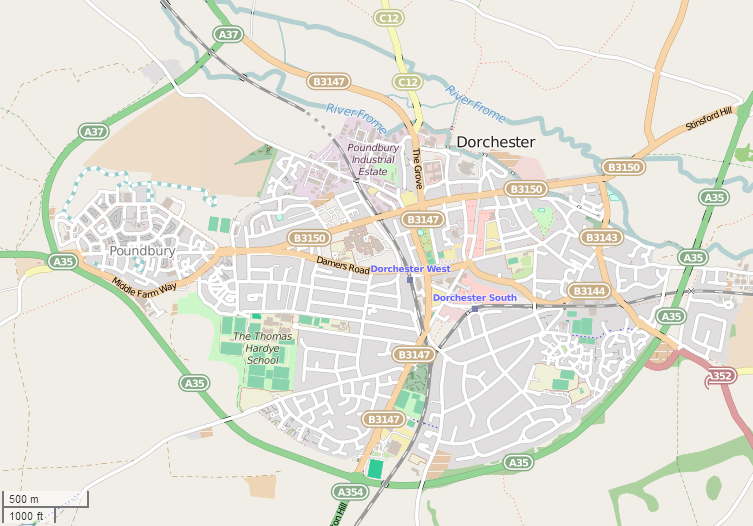 Roads (colour-coded by speed limit), placenames and hospital locations © OpenStreetMap contributors. Walking, cycling, buses, trains and cars have changed little, we just stopped driving when all the parking spaces were taken away. When looking forward, it can be instructive to look back, and think about what has changed, what hasn’t, and why. In 1965, the principal modes of transport in and serving Oxford were walking, cycling, buses, trains and cars. The technology has improved in a number of respects, but the same basic structure persists. The reason is that the various non-car modes are all pretty well adapted for their respective distance markets, with more equipment and space used at higher speeds for longer distances. The car competes with all modes at all distances, as well as having a near monopoly on suburban and ex-urban journeys above a couple of miles. So while the vehicle technology will continue to evolve, the scope for paradigm-shifting change is limited, and can probably be discounted. No flying cars or jet-packs, sorry. But transport is more than about vehicles. It is also about the infrastructure which society chooses to provide to support the use of different modes. In 1965, there was substantial likelihood that major new urban motorways and huge car-parks would be built. The government’s Traffic in Towns report had shown (in 1963) that cities would need to be substantially rebuilt if cars were to be accommodated. 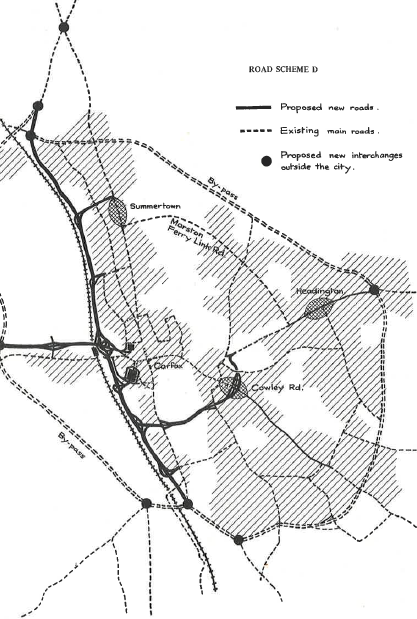 In 1970 Oxford City Council proposed building a spine motorway along the railway, and a motorway link across the river and through East Oxford to the bottom of Headington Hill (see diagram – from Oxford Civic Society’s “Let’s LIVE in Oxford”, 1970). Many other cities did indeed build such roads. 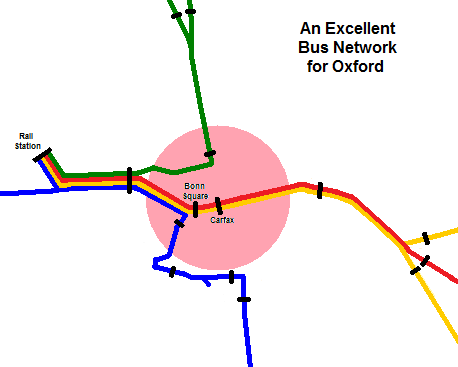 Instead of building roads, Oxford introduced Park and Ride and bus priority to keep traffic levels within the city broadly stable, despite substantial increases in the number of people travelling. Over time, parking has been reduced in the city centre, and has started to be brought under control at the hospital and university sites in Headington. However, parking has been allowed to increase in Cowley, where there is a major car works, and a couple of business parks close to the ring road. Fairly substantial provision for cycling has been made over the years, with facilities on about 50% of the urban main roads. This proportion is very high by UK standards, but still far from complete. The third key aspect of transport is the location of housing and jobs. Housing growth has largely been directed at the main towns about 10 miles from Oxford (Banbury, Bicester, Didcot, Witney), with Abingdon and Kidlington also significant. 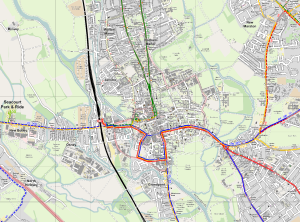 It has suited the districts around Oxford to prevent Oxford expanding into its green belt – they have directed development to their own principal settlements instead. The politics of this is stable – it is unlikely to change. These settlements aren’t large enough to justify rail investment on their own, but three of them have benefited from being on the way to somewhere else, establishing a basic half-hourly train service. The other main settlements support frequent bus services. Employment has become more dispersed over the last 50 years, and people travel further to get to work, with a lot of cross-commuting. Outside Oxford there has been a substantial shift to commuting by car. 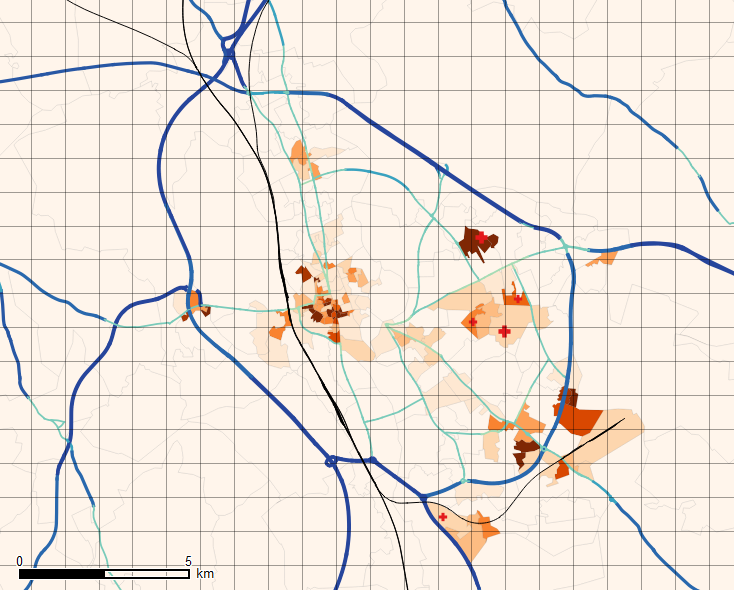 Central Oxford remains the largest employment concentration, but Headington has become a major location for hospital and university jobs. On the edge of the city, Cowley is also substantial, with people driving from all over the county. 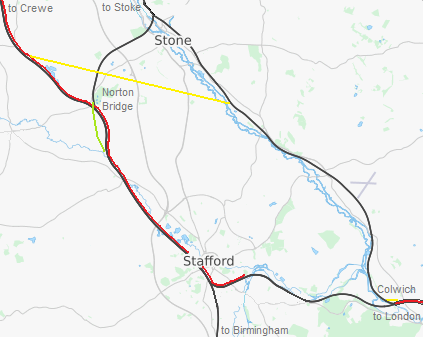 As well as the other main settlements, there is also a major employment concentration near Didcot, split between two business parks at Milton and Harwell, almost entirely accessed by car. So the overall pattern has been for central Oxford to restrict parking, and switch access to walking, cycling, bus and train. But this has been a long process, with traffic levels remaining much the same. Much of the parking is private, and hard to remove. Something similar might be beginning to happen in Headington, but progress is likely to be slow. Outside the city, and in line with much of the rest of the UK, car use has become predominant, though cycling remains above-average. Housing is fairly well concentrated around existing settlements, but employment is becoming dispersed. The ready availability of employment sites outside the city threatens to undermine the approach that has been taken in Oxford. Contrariwise, the attractiveness of living in Oxford might encourage the other settlements to move away from mass car use. Oxford’s alternative approach is unlikely to be deflected, and the difficulty of overcoming obstacles is likely to reduce over time. By 2065, parking is likely to have been substantially reduced in the city centre, and reduced by enough in Headington to eliminate congestion. The cycle network will have been completed, the bus lanes removed, and pavements widened. There will still be many who drive to Cowley, but there will be a fast bus link to the station, with connections to the rest of the county, so people will have a choice not to drive. The business parks will have been replaced by housing, with the offices relocated to the edge of the city centre as a result of the workplace parking levy. The buses will all be electric, and run through Queen Street. The referendum for a special tax to build a bus tunnel under Queen Street was lost. Elsewhere in the county, the pressure on economic, health and carbon grounds to reduce car use eventually bore fruit. Bicester eco-town led to the development of a full cycling network in Bicester, and home delivery of groceries eventually allowed the town-centre car parks to be sold for flats. Didcot developed by expanding west, along the new bus spine routes to Milton Heights and Harwell. Diverting the main road through Milton Park had been a stroke of genius – avoiding the cost of a new railway bridge, giving the buses the straight route along the railway, and opening up the land south of the railway for housing. Didcot now extends all the way to the Harwell site, and more than half of Harwell’s workers now live in Didcot. Congestion on the A34 is a distant memory. The future of local transport is not really dependent on technology, or even on behaviour. What matters is the politics. For five decades we have known that the car needs to be restrained if life in cities is to be improved. Land-owners have slowed down change, but eventually change will come. You can get a long way towards making a city a wonderful place to live and work, by limiting the level of traffic. If you limit traffic around the city centre, you don’t need much cycle infrastructure. 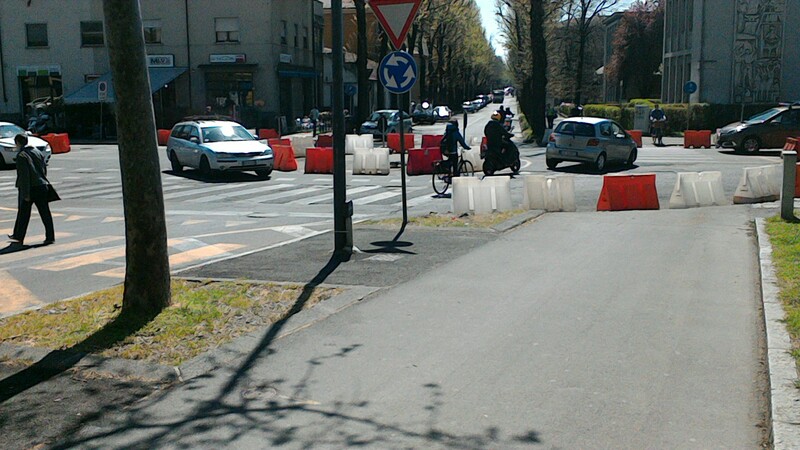 The guidebook wasn’t encouraging – “travellers are scarce enough to attract a few stares”, but it turns out that Piacenza (forty minutes south of Milan) was a revelation: it has a huge everyday cycling culture. It’s hard to tell, but I’d say a higher level of cycling than Oxford. 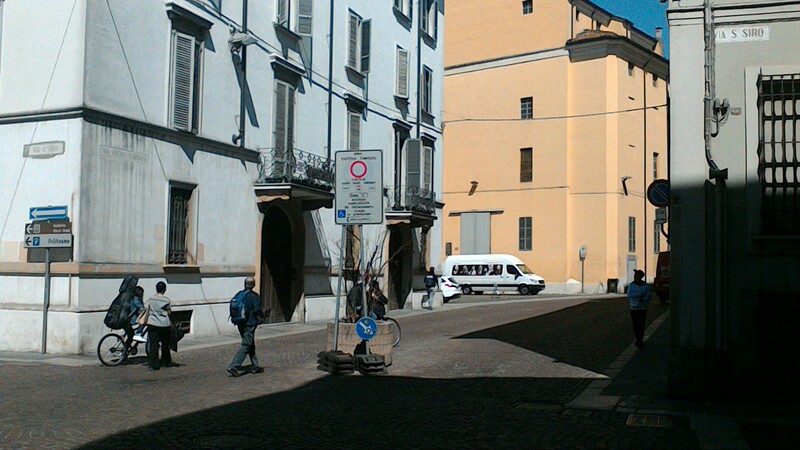 It was much the same in Parma (twice the size and half an hour further south), but with the added bonus of trolleybuses. Clearly, from the age of the bikes, and the cyclists, this cycling culture has been there for a while: but how have they stopped traffic from taking over? In the centre there are a few pedestrian-only streets, where cyclists are probably officially banned, not that that seems to stop them. Around that is one of the newfangled traffic-limited zones (ZTL), with access confined to residents and deliveries between 0800 and 1900. Outside the ZTL, there were no formal restrictions, but traffic was only moderate (I’d estimate somewhere between 5000 and 10000 motor vehicles per day), and speeds were reasonable (30-40 km/h). 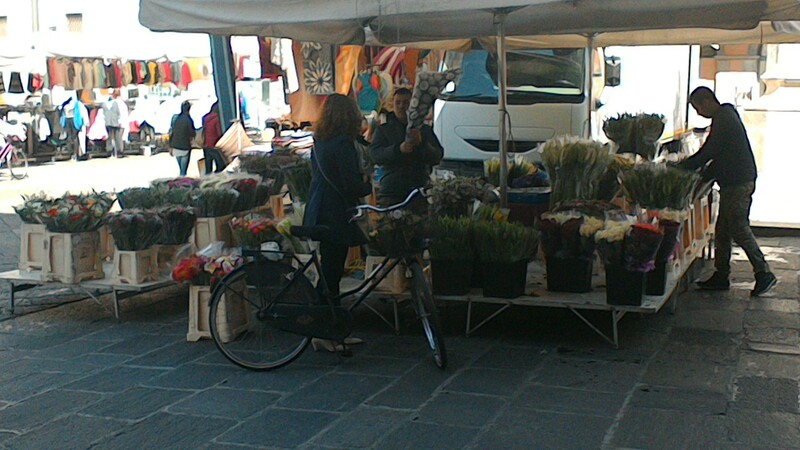 There were some shared-use pavements, but most cycling was on the road (even the old ladies). Junctions were often mid-sized roundabouts (25-30m diameter, with an island) – these have apparently been installed over the last few years, in place of traffic lights, but cyclists seemed to be muddling through them without too much difficulty. Further out, the roads were wider, traffic faster, and cycling was less common. One major difference with British cities is that residential density is much higher, with apartments being the norm, buildings close to the street, and almost no gardens. This goes a fair way to explaining why car use has not become dominant – a lot of trips will be very short. The availability of good alternatives to driving will have made it easier to impose restrictions in the centre. The enclosed feel to the streets will also have kept car speeds reasonable, even without formal speed limits. So what lessons are there for Britain? This approach is more natural for denser cities, with the urban form and street form doing much of the work for you. But the structure of progressive tightening of restrictions and traffic speed towards the centre could be reproduced in Britain. Perhaps the two key measures are the restriction on commuter and visitor parking in the area around the centre, and the low speed and urban feel of the inner ring road. This is quite different to the dual-carriageway ring road, high-speed roundabouts, and multi-storey car parks that are the norm in Britain. 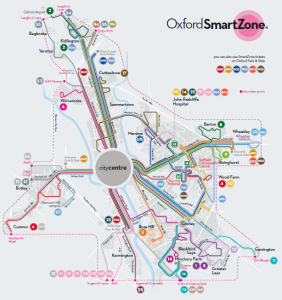 For Oxford the key lesson is the value in restricting commuter parking. This would limit traffic so that junctions like The Plain and Frideswide Square could be more cycle and pedestrian-friendly. Visitor parking has long been restricted by price, though there is still too much of it, too close in (especially Broad Street). But we have struggled to limit commuter parking. There are thousands of parking places on private land, with the University and Colleges being the main culprits. We probably can’t create Italian-style limited traffic zones, but we could use the threat of a punitive Workplace Parking Levy – say £1000/year – to get employers to reduce parking spaces. 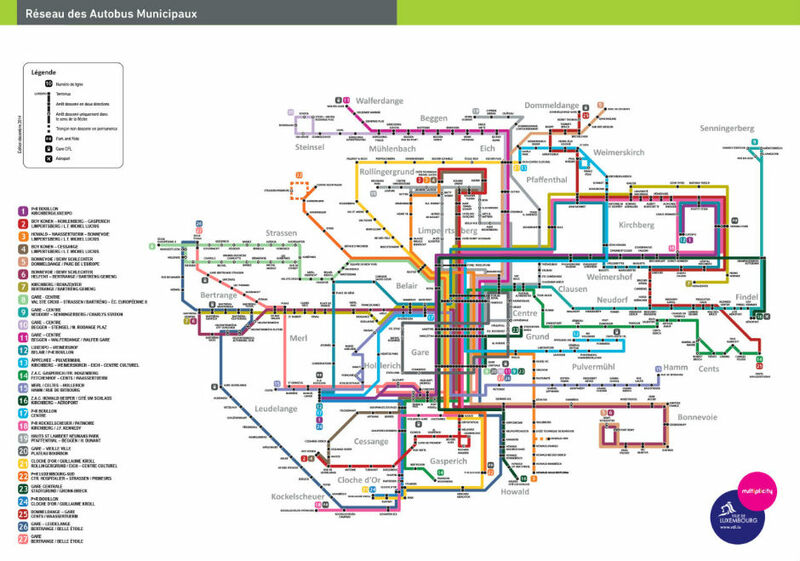 There are comprehensive public transport services into the city centre; hardly anyone really needs to drive.